Emerald Limousines is a luxuary car hire company who specialise in wedding cars and executive travel. 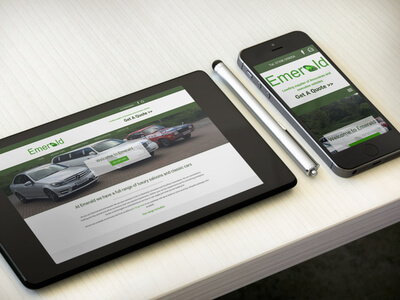 The website design needed to be attractive, not over complicated and allow visitors to easily find what Emerald had to offers. It all started with a logo design to create the brand image Emerald was looking for. Animation was used to enhance the user experience and a sticky menu. Using a bespoke design with sections split into rows the site will be able to match any expansion cost effectively in the future.